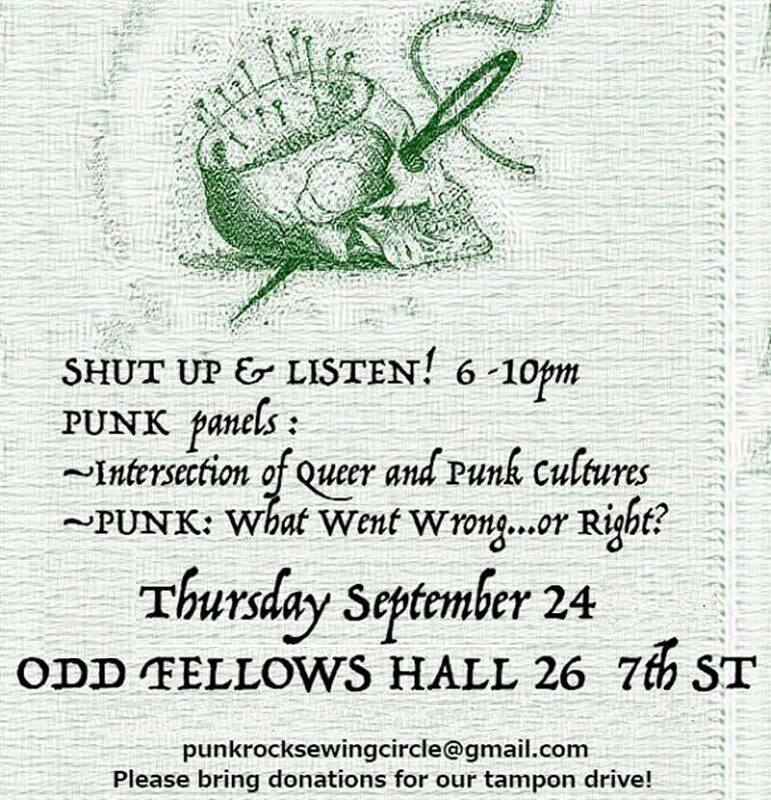 Focus on Punk Panels: Denise Sullivan on Punk History and SHUT UP AND LISTEN at the OddFellows on 9/24! Check out Denise Sullivan’s insightful piece below as she reviews the local highlights of punk history for 40th anniversary of punk; music, meaning, & movement and join us for SHUT UP AND LISTEN punk panels 9/24! At 6:00 PM it’s Shut Up and Listen. Shut Up and Listen, is a night of panel discussions with seminal figures from the first punk scene. The evening begins with a panel discussion on The Intersection of Queer and Punk Cultures, moderated by Erich Brogger. Panelists include David Dictor, Terrence Allen Smith (Joan Jett Black), Dominique Leslie, and Don Baird.